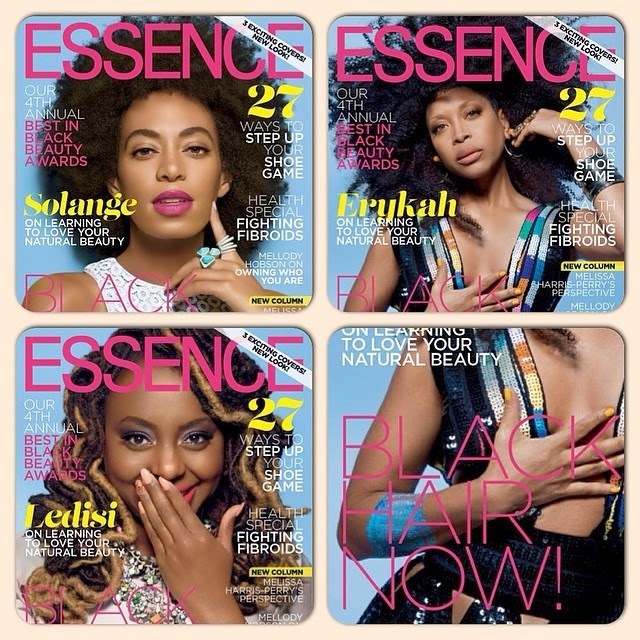 Nappturally Chic Jeré: Essence: Natural Girls Rock!!! 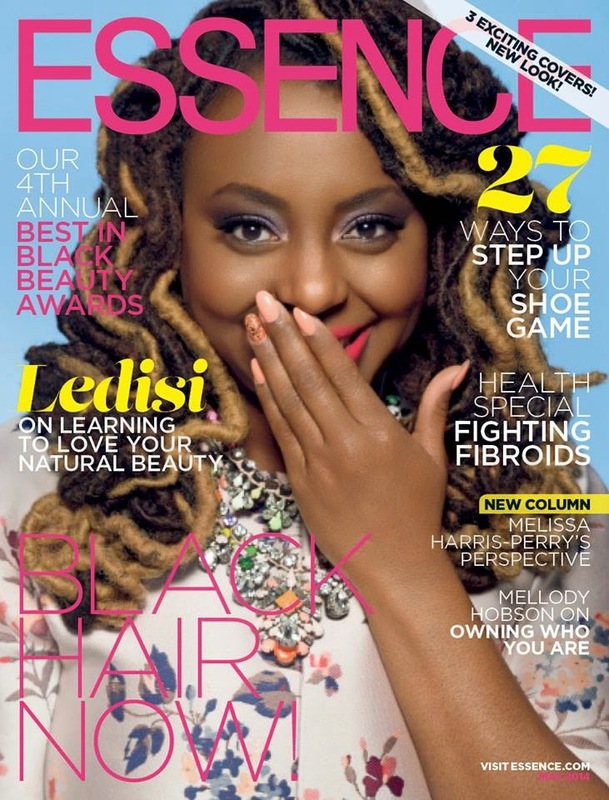 Essence Magazine rolled out their May Beauty Issue with THREE beautiful Covers featuring three uniquely beautiful, talented, creative, and NAPPTURALLY CHIC BEAUTIES!! I don't know about you, but I'm feeling so Proud to be a Naturalista! We are doing it! 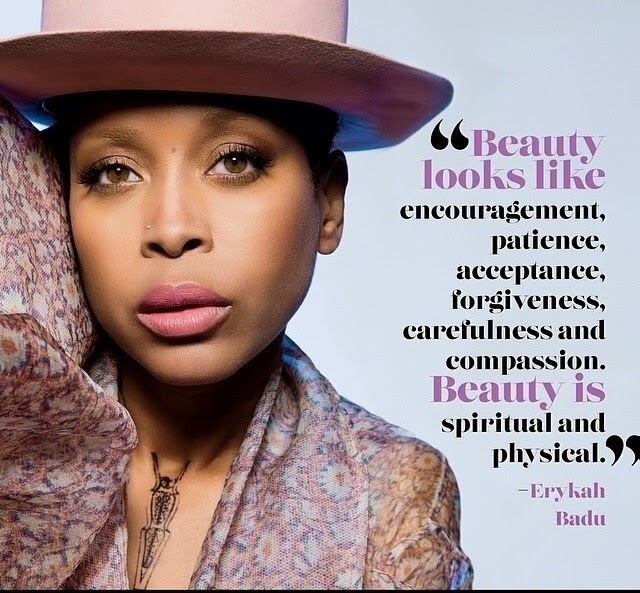 This magazine issue is all about BEAUTY and WE, collective as natural beauties, are the focus of it!! One time for the girls with the kinks, coils, curls, waves, fros, locs, twist, cornrows, and wash n' gos!!! * Our Black is Beautiful!! * Our Natural Hair Texture is Desirable!! * We are all Nappturally Chic and Beautiful!! 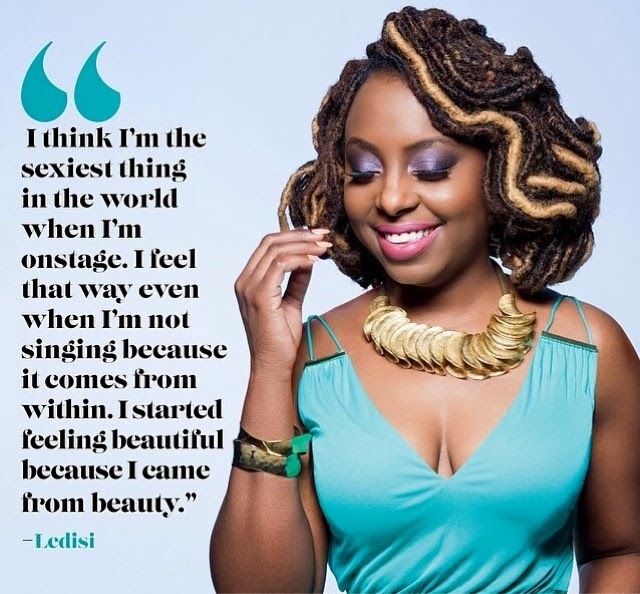 Ledisi: "Although I'm known for my long, colorful locs, I still don't take my hair too seriously...I experiment a lot, dyeing it and constantly switching styles to grab attention. My hair is one of my best accessories and changing it helps express who I am." 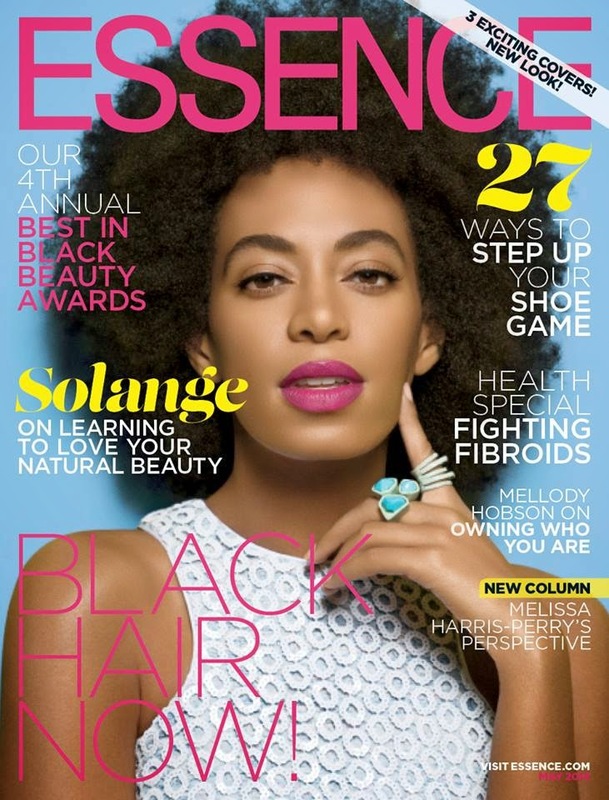 Solange: "We all have the option of how we want to express ourselves through our life, hair, style or whatever we decide. 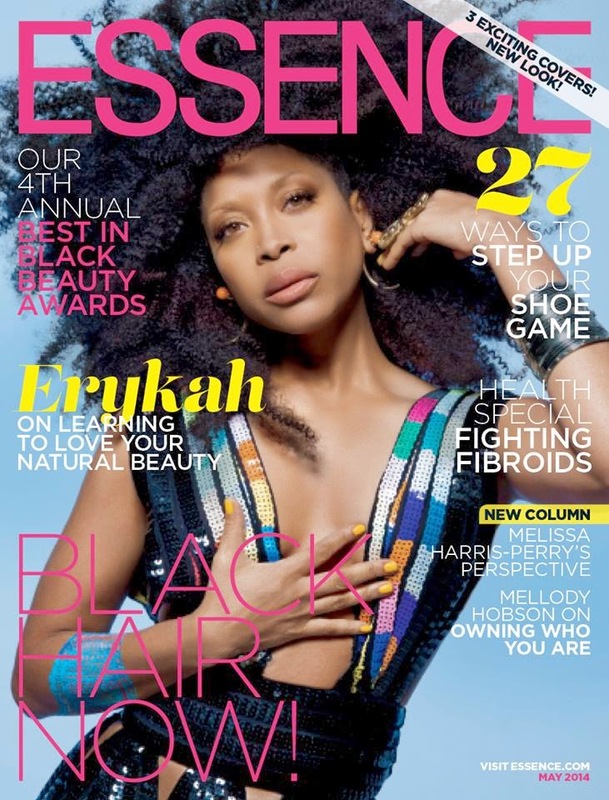 We shouldn't be pigeonholed into any one category...I view my hair and clothes as functional art," says the always funky-cool Badu, who is also the new face of Givenchy. I'm my own stylist and I love it, but I am not trying to make a statement." As always, Thanks for reading and Be Chic, Be Fabulous, Be YOU! !